This guide is currently outdated. Please refer to the updated guide for any questions or concerns. 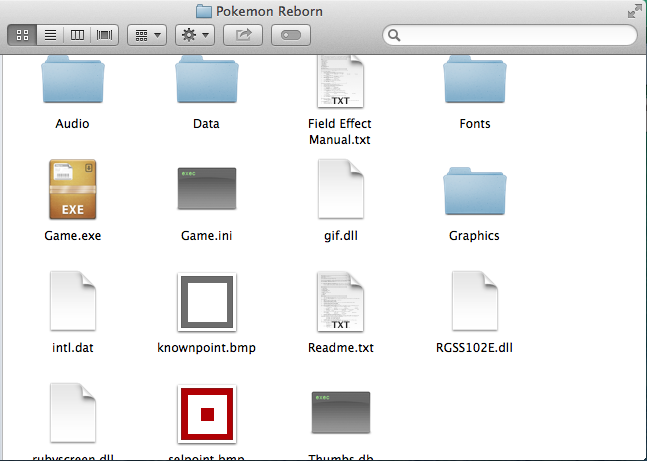 Hello everyone, I'm Tacos, your local Mac expert, and I'm here to show you how to run Pokemon Reborn on your Mac. 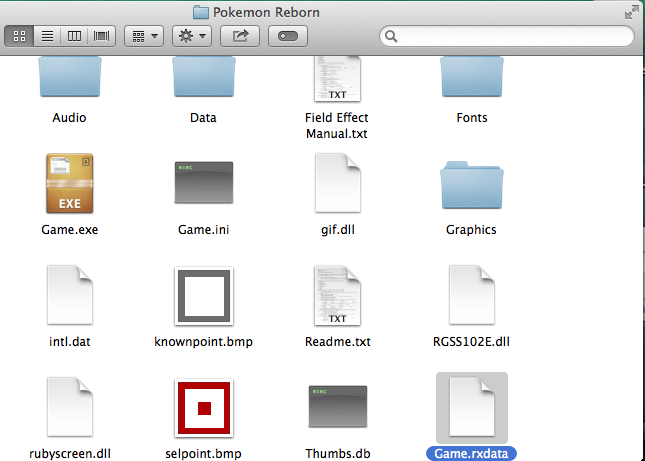 Before anything, you need to know that the application to run Pokemon Reborn is a .exe file, which in most circumstances, cannot be run normally by Macs. However, through the use of Wine, an incredible application that facilitates the use of .exe files, you can play Pokemon Reborn just like everyone else. Just follow the steps below, and you'll be able to run the game smoothly on your Mac. 3. 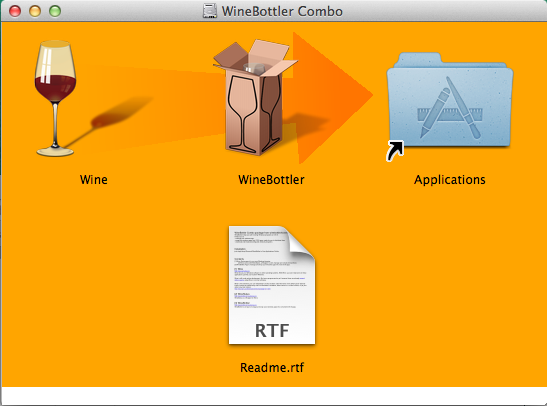 Drag both Wine and WineBottler into your Applications folder. 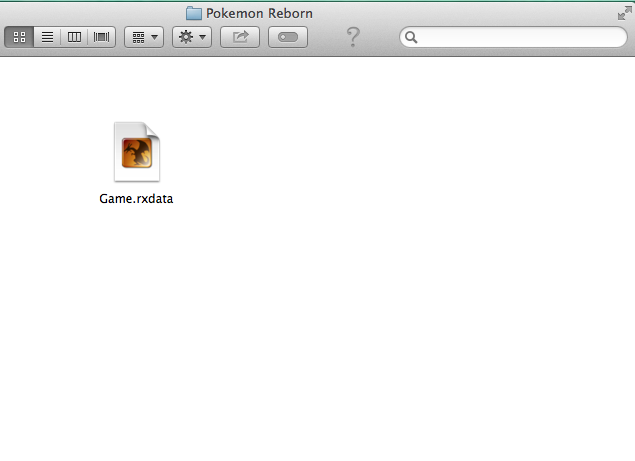 From there, right click on the Game.exe file and open it with Wine in your Pokemon Reborn folder. After launching the application, you should have a few pop up windows. Exit out of all of them except for one titled "Wine - Change Prefix." Make sure your prefix is set to your Wine Files folder and choose where you would like your Wine Files folder to be located. I recommend that you put it at /Users/(your name)/. 5. Choose the first option and select a folder where you want your wine files folder to be. A window for Pokemon Reborn should open. It will ask you to restart to install the fonts. Allow it to do so, and it will be relaunched. From there, you can play through the game like normal. However, if you are using version 1.8 your save file will be located in /Wine Files/drive_c/users/Name/Saved Games/Pokemon Reborn. It should look like this. 7. From there, enjoy your Pokemon Reborn experience, and if you have any troubles, make sure you leave them below. Q. I want to listen to other music while playing the game. How do I disable the sound? A. Press fn and F1. From there a small window will open up. Uncheck the bottom two boxes and your sound will be disabled. Q. What if I want to have multiple save files for multiple playthroughs? A. First you must know that your Reborn save file will be named "game.rxdata". This will always be the save file from the last time you've saved your game. To ensure your game does not load that save file, rename it to anything other than "game.rxdata". Then, you can start a new playthrough as Reborn will not have a save file to load. After you save, that save file will become "game.rxdata". Make sure you keep track of your save files to know which ones pertain to their respective playthroughs. Q. How would I update from one episode to another episode of Reborn? A. That's simple as well. Simply move your current save into the folder of the desired episode, if you are using 1.6.1. The same works for downgrading episodes as well. However, if you plan on downgrading to episode 10 or below, place all gen 6 pokemon into your PC before moving your save file. If you are using 1.8, simply launch the game.exe file from whatever folder has the content for the specific episode. For downgrading 10 or below, follow the same procedure with your PC. Q. How do I soft reset? A. Command + fn + f12. Q. I don't like the size of my game window. How can I make it bigger? A. To use full screen on a Mac, you simply press Command + Enter. Be careful, as this can cause the game to load improperly upon leaving full screen, using the "esc" button. You are also capable of changing your window size by going into the "Options" menu, and selecting your desired size: small, medium, or large. Q. The game seems to be lagging quite a bit. Is there anything I can do to fix this? A. Unfortunately, there isn't much that can be done outside of the use of third party applications. The game naturally runs a bit slow even on PC, so through the use of an application such as Wine, it's expected to be a bit slower. However, it can be easily tolerated after a little time to adjust. Never leave Reborn running while you use a different program/application. If it is left idle for too long the game will crash and any unsaved data will be lost. There is no current version of Wine reliably compatible with OS Sierra. While it may or may not function properly with Sierra, I recommend refraining from updating just yet if you plan to be using Wine any time soon. I'm fairly certain Wine will release a compatible version soon enough. If you would rather not wait around, you can always try your luck. Just be wary. Due to the nature of this thread as a helpful guide and a place where people can ask questions and seek assistance, this thread is exempt from necroposting rules. Do not be afraid to submit questions and suggestions even if the previous post has not been for a significant amount of time. So it wasn't a typo? 0/10 wouldn't read this again. But seriously though, i like it. GJ Tacps. I'll pin this, but shouldn't this be on troubleshooting? That's where most Mac problems are, ya know. Also: Ame. FAQ. Put all of dat there. ALL OF IT. I'll move it. It suits Troubleshooting better. I thought that people would read it more if it was here, but then again: If people don't read the topic on Troubleshooting, they're not going to read it here too. I was hoping for too much. MacMeister Tacps has entered the battle answered our questions at least. Superb job! FAQ doesn't do a ton of good if the person who tries to load it dies of old age before it finishes. I might have to redo the entire main site. We'll see, after that. WARNING. VERY IMPORTANT: From there, go into the Audio Folder, and delete the content in the ME folder because Wine has some issues playing those sound effects. Next, go into the BGM folder, and then locate and delete the Battle-Meteor Admin.mp3 file. From there, once you have installed wine, your game should run smoothly without crashes. I have a solution to this problem. I converted the Battle-Meteor Admin.mp3 file to .OGG, renamed it back to Battle-Meteor Admin.mp3, and replaced the old one. Now the music in the Meteor Admin battles loops just fine without freezing . . . I'm really not sure why this issue occurs since the other .MP3s work fine . . . I have also fixed the .MID files in Pokemon Reborn\Audio\ME by converting them to .MP3, renaming them back to .mid, and replacing the old ones. I can upload those converted files too if anyone would like them . . . I think the issue here is ultimately due to Wine expecting OS X's built-in audio framework to play MIDI files, but native MIDI support was removed several years ago . . . Warning: Never leave Reborn running while you use a different program/application. If you leave it idle for too long the game will crash and you will lose any unsaved data. I have also noticed this, but I don't have a fix . . . It seems to be related to how Wine handles Sleep/Idle under OS X . . . I have a solution to this problem. I converted the Battle-Meteor Admin.mp3 file to .OGG, renamed it back to Battle-Meteor Admin.mp3 and replaced the old one. Cool! That's the same approach that Pokemon Zeta/Omicron uses for its Mac version since MIDI files don't work in Wine on a Mac . . . I'm still not sure why Battle-Meteor Admin.mp3 doesn't loop properly as an MP3 but does loop as an OGG . . .
Every other MP3 works just fine . . . It's definitely not an OS X audio framework problem since OS X can playback and loop the file just fine . . . I think, in this case, it's just a bug in Wine . . . Looking forward to Episode 13! Tacos! I don't know if someone said, but you don't need to type fn and F1 to be able to change if you can listen to the Reborn Music or not. You just need to press F1 (wow I know something about Wine that Tacos doesn't know ). Depends on whether you have "Use All F1, F2, etc. keys as standard function keys" turned on or off . . . Off is the default . . .
Thats because on my keyboard at least I have it as a lowering brightness. Well congratulations on figuring that out. Give me a little time and I will put that in there and I'll give you proper recognition for that. Tacos if you want to change your F# keys so they work like Windows F# keys all you need to do is go to System Preferences, then to Keyboard, then go to Keyboard AGAIN, and check the box that says " Use all F1, F2, etc. keys as standard function keys." I never knew you could press fn to do what I just said, so I'll be doing that now (thanks). I'm well aware I can do that I just prefer these settings. The save file is titled Game.rxdata. Simply move it into your folder for episode 12 and you should be good. Also make sure you deleted the content of the ME folder and deleted the Battle-Meteor Admin.mp3 of redownloaded the fixed file so your run without crashes. Just as they would normally be under Windows . . .
Make sure to move your save if you update . . .
Wow, um, just noticed you said this actually. Will update this when I get home. Thank you for the info . Just for everyone's information, they don't appear to actually have been changed as of E13.2, so you will still need to convert all the .mid files and replace the Battle-Meteor Admin.mp3 if you want all the sound effects and music to work properly under Wine. Additionally, we'd need extra software to listen to the game's sound files outside of the game. That was the strongest blow.